"I need to restore my iPhone 7 with iTunes. The backup file was encrypted so I tried a few password sets commonly used by myself. However, none of them was correct. For my case, is it possible recover my iPhone with that password-locked iTunes backup file?" Have you ever lost iTunes backup password in iPhone/iPad/iPod like the user above? ITunes asks for a password to unlock a backup that you never set? Have you tried almost every password that you would ever use in your whole life but still figure out nothing? Perhaps most of the iTunes users encounter the similar issues. However, don't be too anxious about it! In this post, we display the tricks about how to recover iTunes backup password on Mac platform, including macOS 10.14 and below in iPhone, iPad or iPod devices. Note: If you forgot the password to login to iTunes account (also called iTunes password) on Mac, you can click "Forgot" link and to reset your Apple ID passwore. "Hi, yes there is a way to get the backup back if you forgot your password. Type in your apple ID password with NO CAPS, even if the ID password had caps. If you use caps it won't work. Type it in when it asks you for the encryption password and it will work. I didn't believe it either until I did it and it worked!" There are still some parts of lucky persons who try all the possible passwords and eventually unlock their iTunes backup password. Alternatively, we can't ignore this stupid and easy tip. 1. Try 0000 as the password, for it is the default password at times. 2. Your iTunes Store or Apple ID password because this is the most regularly password to restore backup. 3. Try old iTunes backup password if you have changed it long time ago, because this might be a bug in iTunes. 4. Try 6-digit unlock passcode of your iOS device. For people who prefer to create the same password in different situations, just have a try! It you have managed to attempt all possible passwords and nothing works, you can use a kind of iPhone backup unlocker software, such as Tenorshare 4uKey - iTunes Backup, which can easily recover encrypt iTunes backup password and remove iTunes backup encryption as well. It supports most of the iPhone, iPad and iPod modes to retrieve iTunes backup password, especially iPhone XS/XS Max/XR/X/8/7s/7(Plus)/6s(Plus)/SE/6/5s/5c/5, etc. Step 1. To get started, download, install and launch 4uKey - iTunes Backup on Mac. Step 2. Click "Add" and then double click on the file you lost password from the drop-down box. Step 3. Choose a password attack type and click "Start" button, it will show your password soon. Finally, you can remove iTunes backup password forever if you think it is a disaster. KeyChain Access is the built-in password manager in Mac OS X. It saves a multitude of passwords, vary from website, servers, email to iTunes backup, etc. If you have ever reset the password of iTunes backup and check the "Remember this password in my keychain" choice, it will be stored in Mac. Step 1. Launch Mac computer and go to Finder > Applications >Utilities > KeyChain Access. Step 2. On the top right of the window, in the Search dialog, type "iphone backup". In the search result, look for "iPhone Backup" and double-click it. Step 3. At the bottom of the "iPhone Backup" dialogue box, click on "Show password" and save changes. Step 4. It will then pop up a window prompt, "Keychain Access wants to use your confidential information stored in 'iPhone Backup' in your keychain. To allow this, enter the 'login' keychain password.". Tap in the administrator password of the Mac computer to allow this operation. You will get your iTunes backup password at the end. If unfortunately, the password you used in the past is forgotten and you have other backup file such iCloud backup, then you can reset the iTunes backup password by reset all settings on iPhone and create a new backup in iTunes . 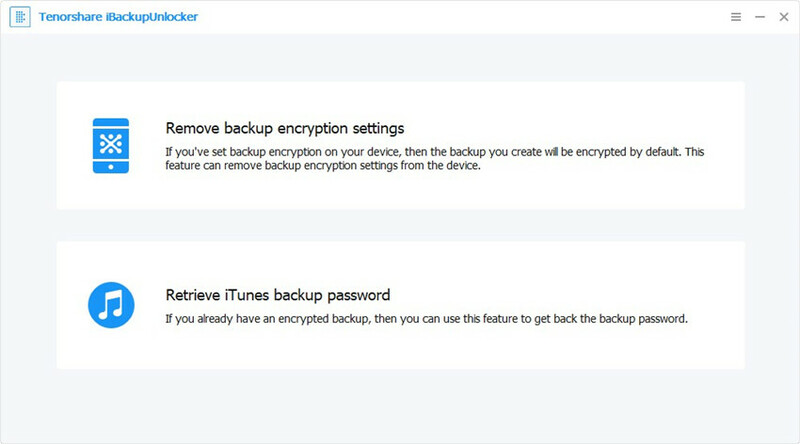 At this time, do not enable the "Encrypt backup" menu in iTunes. Note: In this way you cannot restore data from your old encrypted backup file but you can create a new backup in iTunes either with a new password or without password. So those are all the ideas about how to recover iTunes backup password on Mac OS X. Enjoy everybody, I hope that I could help as much as I can. If you gain any other good methods to recover lost iPhone, iPad or iPod encrypted backup file password, inform me via comment.